At his urging I recently visited the Goya exhibit at the Museum of Fine Arts (MFA). The retrospective “Order and Disorder” featured 180 of the 1800 artworks produced by the Spanish master in his lifetime. Francisco Goya (1746-1828) was more than a superb painter, printmaker and draftsman. His work chronicled a tumultuous time in Spanish and European history, ranging from portraits of the aristocracy, to the insane; studies of love, power and regret, nudes that drew the ire of the Inquisition, and Disasters of War, a series of sketches that achingly documented the horrors of Napoleon’s invasion of Spain in the long forgotten Peninsular War. 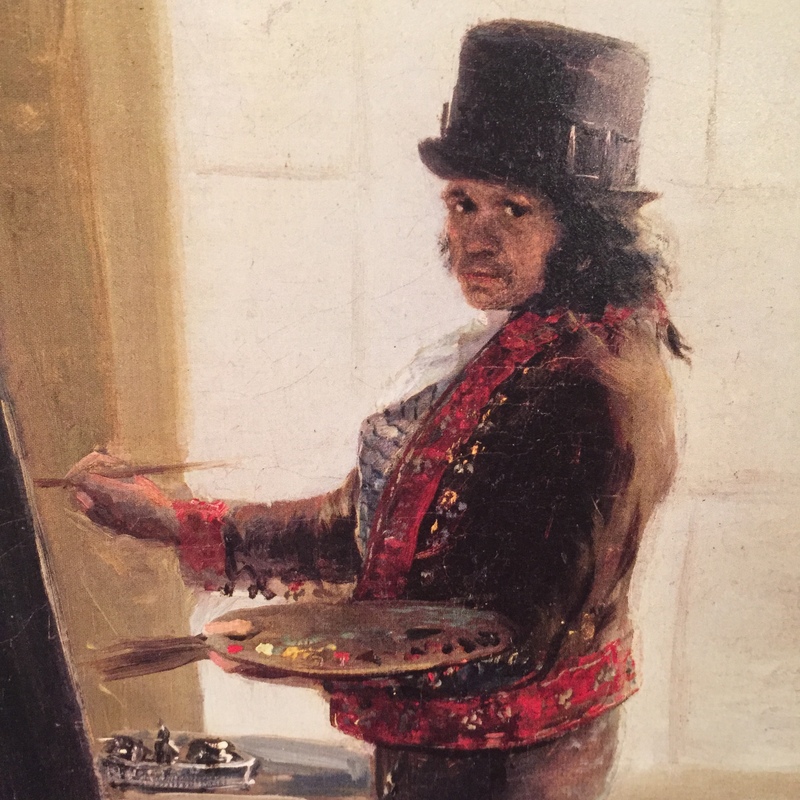 Goya was a lifelong student of human nature and fascinated by our unique ability to be both ordered and disordered, a jumble of emotions, contradictions and mystery that defy rational explanation. His work remains surprisingly relevant because the subject matter is universal, and contemporary – war, love, the nature and misuse of power, religion, changing cultural mores, suffering, and justice. 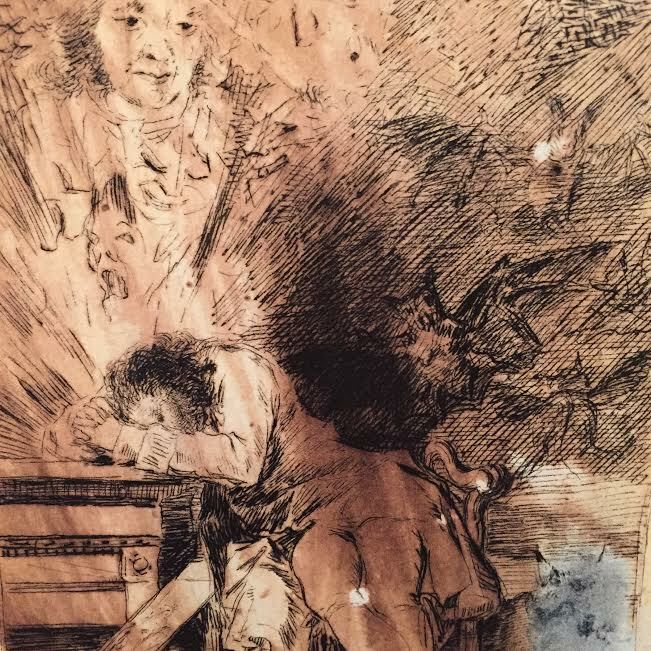 Nearly 200 years after his death Goya still speaks, exhorting us to question authority and dig beneath the status quo in our own search for truth. Much of his work does not require explanation. You understand what he is thinking, and feeling, fairly quickly. And in an age of instant, high quality digital photography, there is something about the physicality of being a brush or pen stroke away from a carefully considered moment in time created by a master. Television, the Internet, or books do not do Goya justice. His art, like Lectio Divina, is best encountered slowly and intimately. Early in his career, Goya worked his way into the Spanish hierarchy by creating stunning family and individual portraits. These were important to him financially, helping develop the technical talents that served as a springboard to his more philosophical and penetrating work. As his fame and confidence grew, one can see a cocky young artist finding ways to burnish his image and create less than subtle “brand awareness” with the art buying aristocracy. 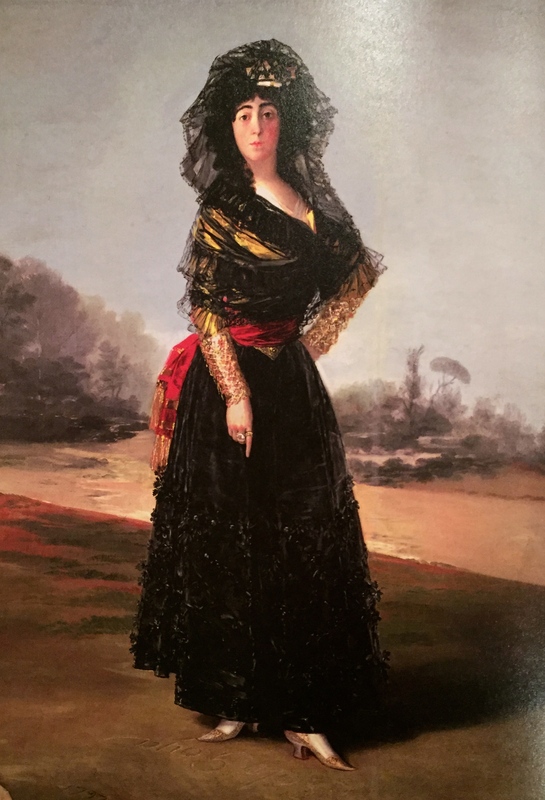 In the Duchess of Alba, below, the Duchess is in the traditional black of mourning; her young husband has died and her future is uncertain. The painting is nearly seven feet tall, and the Duchess is a commanding figure – simultaneously beautiful, strong, defiant and vulnerable. In this extraordinarily personal moment she points her right hand to the ground, where we see the words “Solo Goya” in the dirt at her feet. “Only Goya” had the capabilities, and relationship, to capture this moment in this way. Later, as he aged and dealt with his own infirmities, a less glamorous view of beauty and mortality emerges. In Time, a former beauty clings to the memory of who she was. Dressed in a beautiful gown, bedecked and bejewelled, she sits with a struggling confidante who asks somewhat ironically “How goes it?” In the background Father Time is depicted, ready to sweep both women away. Goya created many self-portraits – the image at the top of this post, for example, and his sensitive eyes suggest something morose and mysterious. In The Artist Dreaming we get a glimpse of Goya’s interior life. Here, the artist sleeps and shares the demons and insecurities within. As with much of his work, the closer we look the more we see. Goya’s religious art did not always follow the heroic constructs expected by his patrons. Here, John the Baptist is far removed from the sacrificial, locust-eating personae often depicted. 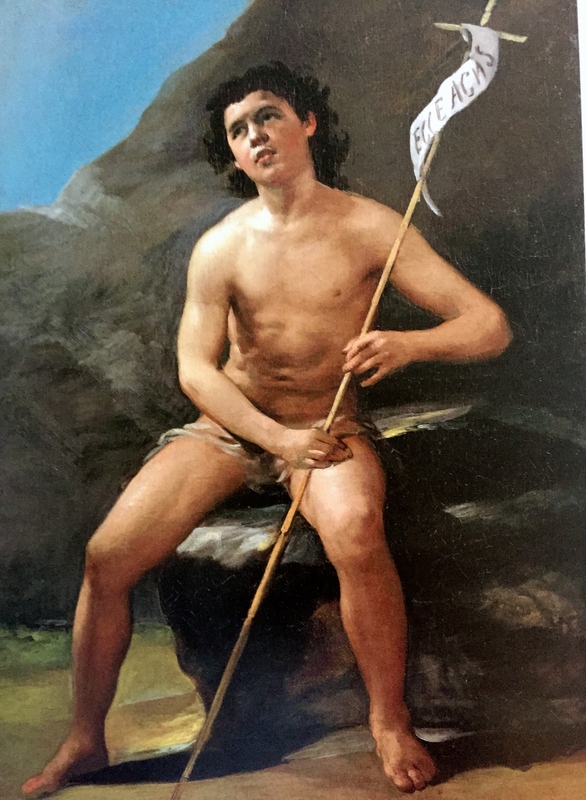 His ministry and ultimate beheading by Herod are still to come, and Goya chose to capture John simply as an innocent young man, a beautiful child of God. Europe was awash in traditional religious art and Goya often chose unconventional ways to express himself – the only hint of religiosity is the small reed cross bearing the insignia “Behold the Lamb of God.” Painted during the Peninsular War, perhaps Goya had seen enough sacrifice. 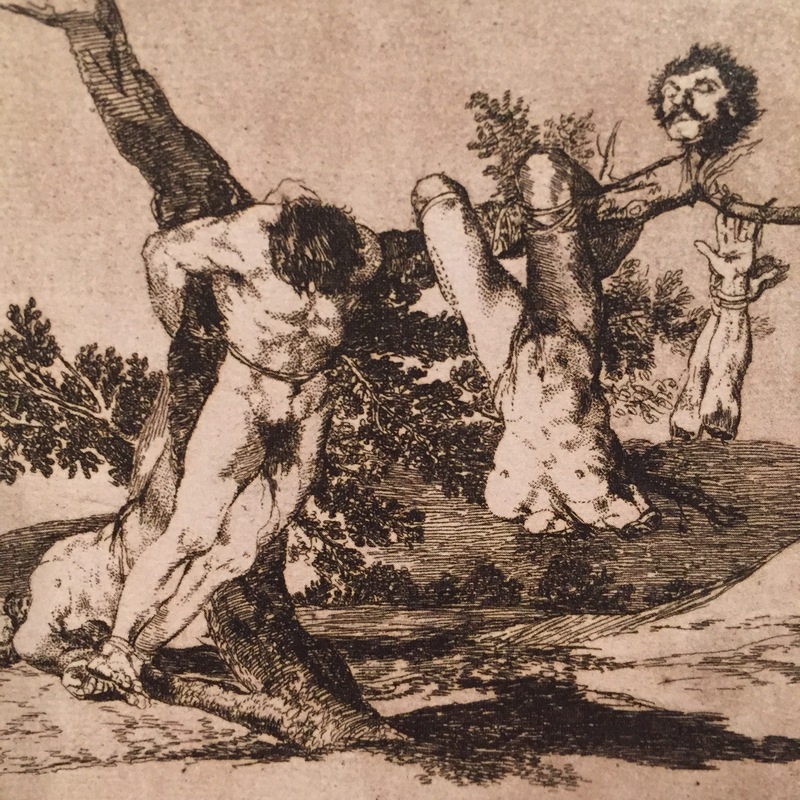 Goya was no stranger to suffering. In 1793, after an illness, he became deaf and never regained his hearing. As a father of seven, only one of his children lived to see adulthood. But the Peninsular Wars (1807-1814) took a particularly heavy toll on Goya and Spain. Referred to glibly as the “Spanish ulcer” by Napolean, the war produced a devastating period of famine, death and retribution for the Spanish people. Rather than document the “glory” of war common among artists of his day, Goya focussed on the aftermath of its atrocities. The Disasters of War series was was not published in his lifetime. 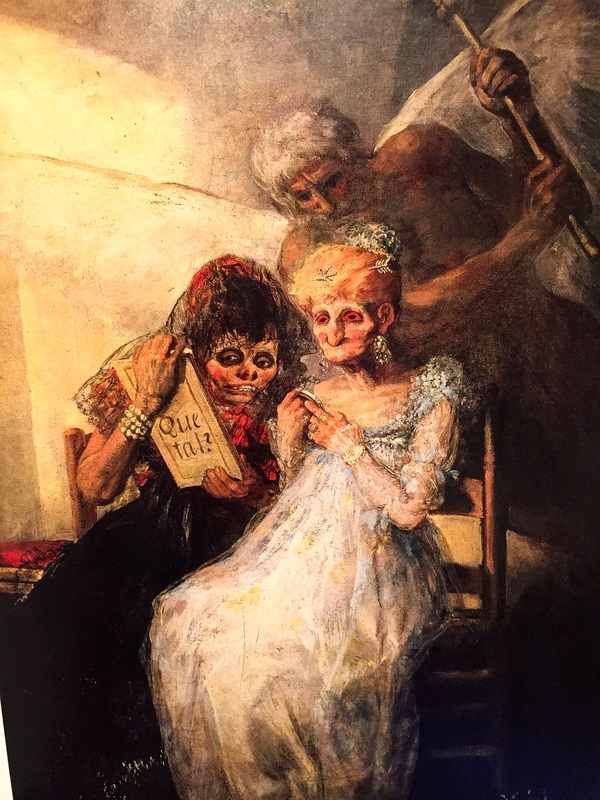 Goya began his career as a bright young talent desperate to earn the favor of his audience. As he matured he experienced firsthand what MFA curators referred to as the “transitory nature of power.” All men, it seems, are destined to be brought to their knees. 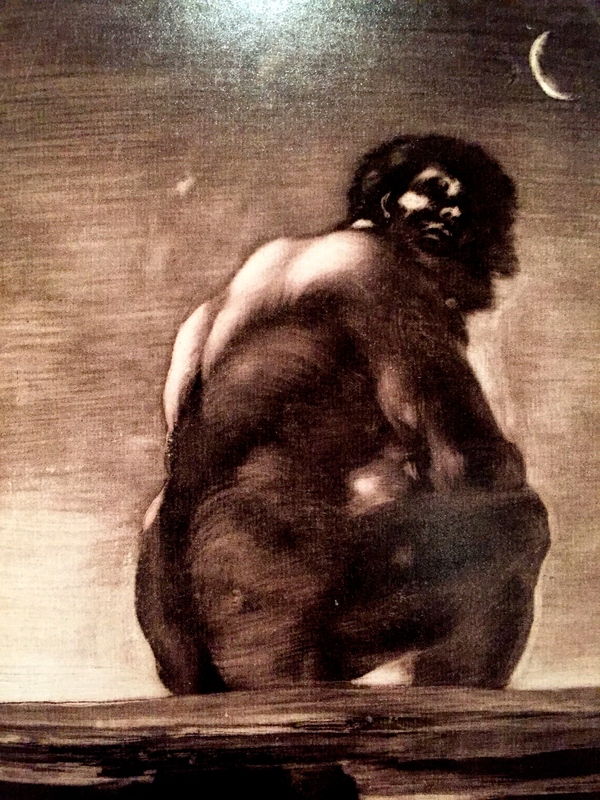 In “Seated Giant” a melancholy titan sits on the edge of the earth, looking back at the world he has wrought. This image was the cornerstone of the MFA’s marketing campaign, with huge images of the “giant” adorning billboards, buses and subways. 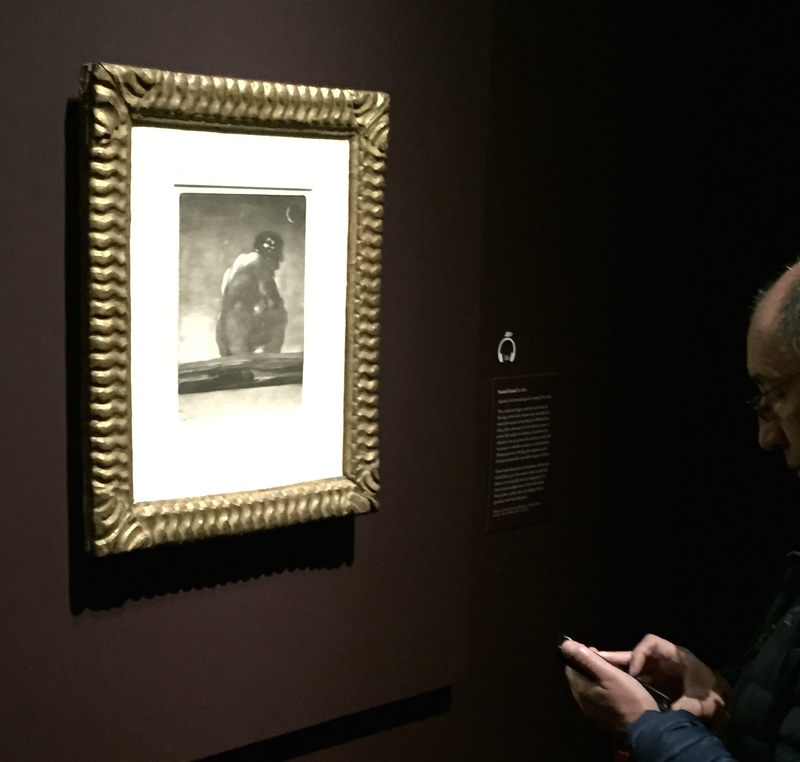 Goya chose to portray him much differently, with the actual piece no bigger than a notebook, and using the confines of the frame to underscore the giant’s sense of smallness. The exhibit got me asking many questions, none very existential. First, how on earth did I work in Boston for twenty years and not once step foot in the MFA, nor ever bring my children here? I made time for kids soccer, recitals and Applebee’s, but not the arts. And what else have I been missing in my race to be all I can be? Years ago I worked at a printing company in Worcester, MA, and made a mistake that cost the company nearly $10,000. I was summoned to the president’s office, and after hearing a detailed, blow by blow explanation of how the transgression occurred, he paused and rubbed his chin. If we are what we eat, I need more classic art, literature and music in my diet. Our interior and exterior lives can produce richer fruit only if they become richer. The path forward is simple and well-marked. Why lie in the mud, when we can sit with Goya? 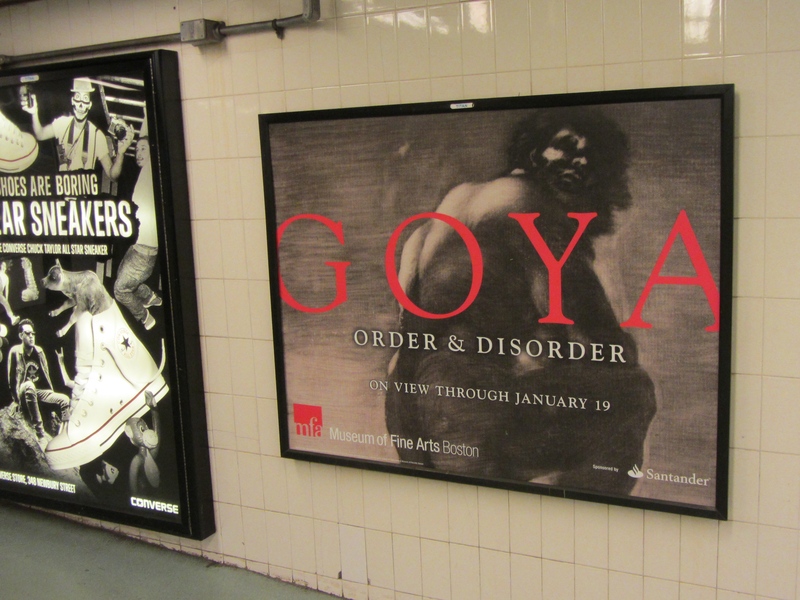 Note: “Order and Disorder” has closed but the Museum of Fine Arts in Boston retains a sizable Goya collection for you to experience. Also, the MFA’s curators have put together an excellent book on Goya that can be purchased at http://www.mfashop.com/780878468089.html. Many of my own observations can be attributed to their superb, passionate presentation of this artist – if you enjoyed the post, you will love this book! “Hurrying in the wrong places.” resonates strongly with me. Your posts are a welcome exercise in thoughtfulness and deliberately slowing down. It becomes hard to even recognize when we are lying in the mud, especially when it seems like we are moving so fast.